Stop! Don’t List Your House Until You Get a Direct Offer From The Sierra Group LLC! You Have Options When Selling Your House! Imagine, selling your Grandview property quickly, without stress or hassle. Sounds wonderful right? If you own a house in Grandview, we would love the opportunity to make you an offer! Find out what we can do for you! We have been in business for over 20 years, and proudly hold an A+ rating with the BBB. 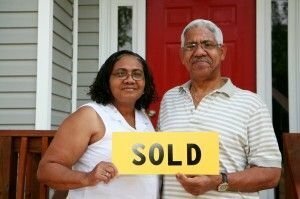 We have helped hundreds on local homeowners who found themselves stuck with a house they no longer wanted to own. We work with people who are looking to upgrade or downsize and would like to move without it being contingent on a sale via the MLS. We have even purchased properties with water or fire damage! We work with people every day who want to save time and money with a direct sale. Listing requires many expenses, people might not consider. Cleaning, repairs, staging, in some cases marketing… all of these things have to be paid for up front! We have a simple alternative! Before you sign a listing agreement, find out how much we can offer you! You won’t be spending a fortune repairing a home you don’t want! You won’t need to keep it clean and ready for a showing at any minute! You won’t need to pay fees and commissions! You won’t have to wait around, not knowing when it will sell! You won’t be stuck paying the property taxes, homeowners insurance, and utility bills any longer! Over a few months time, those bills can add up to thousands! When you try to sell in the traditional way, there is no guarantee your house will sell for the price you list it. Even if you get an offer somewhere close to what you want, you will still need to pay out agent commissions. A direct sale will let you keep that money in your pocket! The Sierra Group LLC will buy YOUR home directly! No commissions or fees to worry about! There are never any hidden costs, what we offer is what you get! We want to buy properties right now in Grandview, Missouri. Call us today and we will make you a fair and honest, no-obligation on your home now! You’ve got nothing to lose, call today!